Owning a credit card has become an important part of our financial identity. A credit card shows proof that you are able to pay your debt. If you want to travel, you will need a major credit card to book reservations for a plane, hotel, or car rental. Having a good credit history is a benefit to your financial future when it comes to purchasing a new home, buying a new a car, or applying for a business loan. Unfortunately, not everyone is able to apply for credit because they do not have any at all, or they need to rebuild their credit due to bad financial decisions made in the past. On the bright side, there are some borrowers and lenders out there who are willing to take on the risk with someone who has a good payment history with a secured card. First, we need to begin by describing what a secured credit card is. The secured card requires a cash deposit from the cardholder from anywhere between $250 to $5,000 dollars. The amount of the deposit you make will depend on the amount of credit the lender is willing to give you. Most times the deposit amount matches the credit limit. The lender does not have to take on so much risk because the deposit is used as collateral, in case the cardholder does not meet the payment requirements or exceeds the credit limit. When you make a purchase, you are expected to repay the credit amount you used. The purchase amount is not deducted from your security deposit. Secured cards are a great tool for rebuilding a person’s poor credit history and for someone who is just starting to obtain credit for the first time. In most cases, these cards are guaranteed for approval. After all, there is nothing to go on for that lender. You have the opportunity to begin your credit with a clean slate. 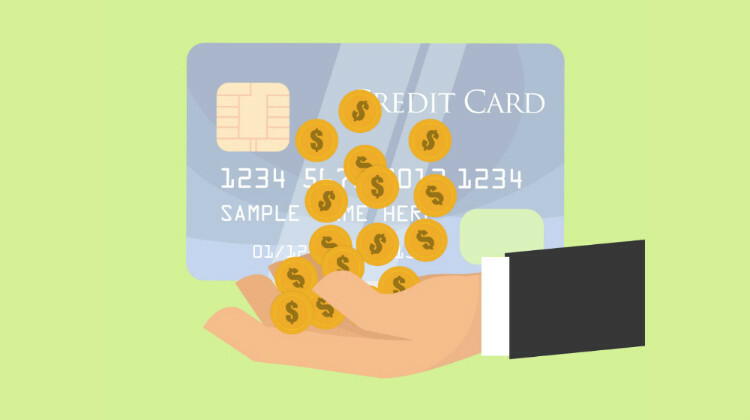 The use of secured credit cards is reported by the creditors to all three of the following credit bureaus: Transunion, Experian, and Equifax. Even with a security deposit, you are getting the extended credit. These companies report the payment history and spending habits on these cards just like any other unsecured card. Here is one important fact. Some people think a debit card is a tool to build credit. This is not true because the money is directly withdrawn from a bank account. Unfortunately, banks do not report debit card activity to the credit bureaus. What are the benefits of owning a secured credit card? 1. You will be able to build your credit history. Because you will have a credit limit, the credit bureaus will have reports on your payments and hopefully NO late payment history. 2. You may be able to qualify from an unsecured credit card. Within 6 months to a year, depending on how bad your credit was, you may be able obtain an unsecured credit limit. If you used the secured card responsibly, you could be upgraded. At this time, you would have had increased your credit score as well. 3. You are usually guaranteed approval. Most secured cards do not require you to have any credit history or any credit at all. This works for those with poor credit or just starting from scratch with no credit to start with. What are the disadvantages of owning a secured credit card? 1. There are a lot of expenses associated with it. Different charges. Depending on the creditor, there could be annual fees, application fees, a monthly fee, and even a fee for a credit increase. You may feel like you are being nickel and dimed, but this is the reality of owning a secured card. When making your monthly payment, be sure to add these fees in addition to your minimum monthly payment. Obligation to purchase a product. Some banks will require you to buy their other services such as insurance in order to receive the secured card benefit. High interest rates. Secured products are expected to have extremely high interest rates that even exceed an unsecured credit card rate. This is why paying your balance in full is critical because carrying a balance from month to month may not make a difference even though you are meeting your minimum payment requirements. Your security deposit. Where is your money? Some banks place it in an account that compounds interest, others do not. In this low interest rate environment, I would doubt that it is possible to earn any additional interest on your deposit. 2. All institutions are not about helping you build your credit. You will have to do your research to distinguish the banks that help build your credit from the ones that don’t. Make sure you select a creditor who reports to the credit bureaus. 3. You can easily hurt your credit. You must use your secured card responsibly. Unfortunately, because you have no credit history or poor credit, you are held to a high standard with an opportunity to make no mistakes. Even if you make one late payment, you can kill your progress. What are the responsible ways of using a secured credit card? 1. The most important habit is to make your payments on time. Even one late payment can be a setback to what you have worked so hard for in the beginning. Stay consistent for a long period of time. There really are no exceptions during this critical state of building or rebuilding your credit. 2. Maintain charges at reasonable amounts you can afford. Keep track of your spending to ensure that you are not using too much of the credit limit that was given to you. In other words, keep your balances low and reasonable so that you can at least pay the balance in full. If you carry a balance, at least pay the interest amount in addition to the minimum payment required plus any fee applied. Remember, the interest rates are unusually high so you should refrain from carrying a balance from month-to-month. Keep the momentum going by checking your credit score and reviewing your credit report every year. When you see your credit score increasing, you will be driven to continue the great habits of owning a secured card which means you are on your way to getting an unsecured credit card. For a small fee, use www.myfico.com which will give you the true credit score you will need. It’s been six months, maybe a year or more. Now you are ready to apply for an unsecured credit card which does not require a security deposit but is relied upon the good credit history of the borrower. That is you. The whole idea is to keep the same habits you had while using the secured card. Continue to pay on time, keep charges within a reasonable amount and always track your progress. Building credit for the first time or having to rebuild credit from a failed business or bankruptcy can take a lot of time and patience. Ultimately, if you want to purchase a new home, buy a new car, or qualify for a small business loan, having good credit is what you need to help support the things you need. This card was offered in 2016 and there is no annual fee. You are also able to earn rewards from all of your purchases. If you make your first late payment, you will not be charged a late fee or have an annual percentage rate increase (APR). USAA serves military service personnel and their families. They have the USAA Secured Card by American Express. One good feature is that your deposit does go into an account that earns interest. When you add additional money, you can ask for more credit. They also offer free credit monitoring by one of the major credit bureaus. This secured card charges no annual fee. Your credit limit can be much higher than your deposit. Capital One also offers some credit monitoring tools that will assist you in staying on track to reaching good credit status. Maintaining this secured card for at least one year may allow you the chance to get your security deposit back. You may also have the chance to get approval for their unsecured credit card. Finally, you may be approved for a higher credit limit. There are many banking institutions out there that are willing to assist you in building your credit. It is a matter of taking the time to find which creditor suits you best.